Wayne Medical Center will host a blood drive on Wednesday, July 25. 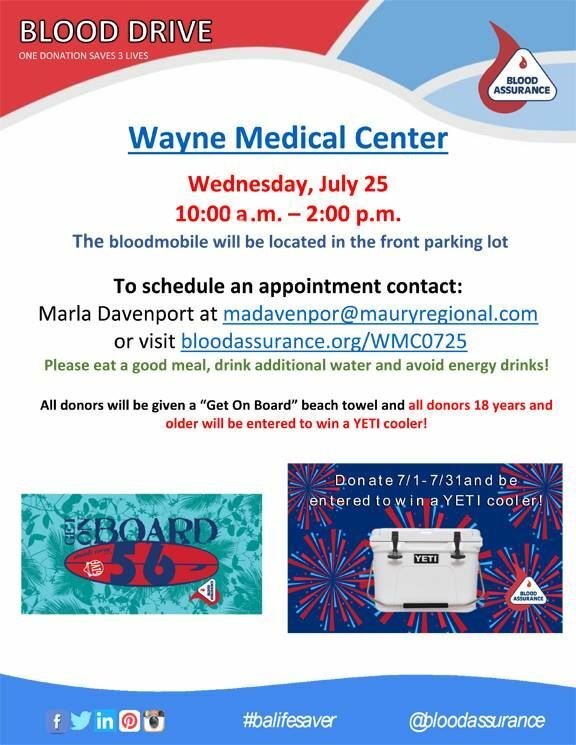 The Blood Assurance bloodmobile will be in the hospital parking lot from 10 a.m. until 2 p.m. Donors will receive a beach towel and be entered into a drawing for a Yeti cooler. To reserve an appointment time, visit https://donor.bloodassurance.org/donor/schedules/drive_schedule/108820 or call 931.722.5411.